Owning a commercial building comes with a considerable amount of responsibility. One of the main jobs is ensuring that your roof is always in good shape. 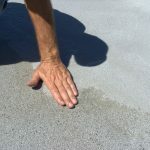 This is particularly crucial if you have a flat roof because it’s more likely to leak. 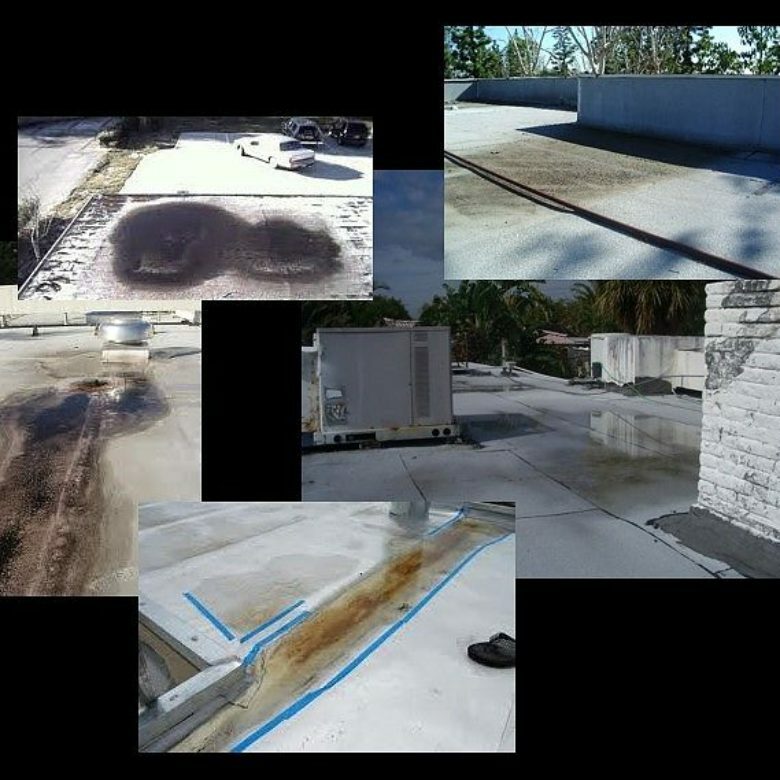 Sometimes, leaks on flat commercial roofs aren’t obvious, so it’s important to be aware of the common “red flags”, suggesting problems. That’s why you need to regularly inspect your roof, especially after a lot of rain has fallen. 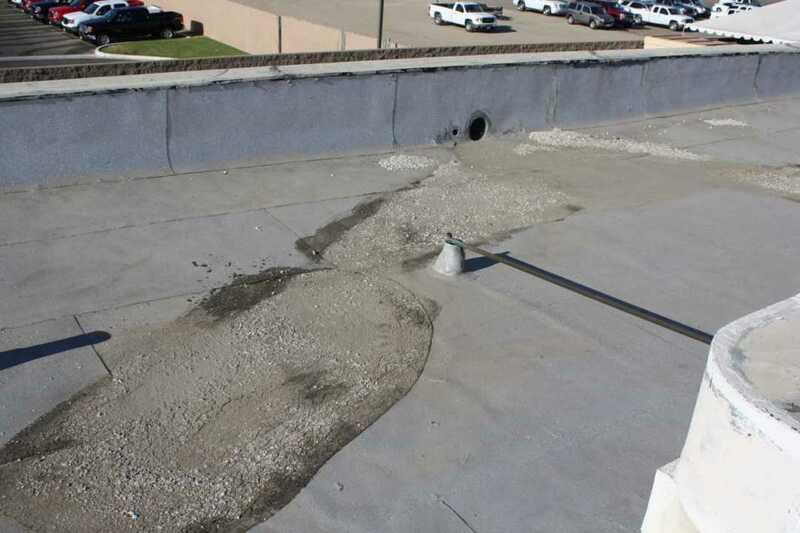 Here are some of basic signs that can suggest leakage on flat commercial roofs. If you see blisters or bubbles on your roof, this could be a clue that moisture has been trapped underneath the surface. Consider that insulation typically doesn’t swell, unless there’s a moisture problem. Don’t wait to fix this because procrastinating can result in your flat roof leaking. This is even more crucial if severe weather is coming. Because it can be hard to see cracks and tears in roofing material just by looking at your roof from the ground, you’ll need to either have your roof professionally inspected or do it yourself. Roof damage can occur when the sun’s harmful UV rays cause rubber or plastic to dry out and crack. When this happens, it’s easy for moisture to enter, which can lead to roof leakage, besides other conditions that can be time-consuming and expensive. Roof flashing is the term used for those metal strips that run along the edges of roofs. These strips are used for holding down roofing materials, as well as for keeping out water, debris and other exterior elements. When inspecting your roof, look for signs of damaged flashing, such as flashing that’s bent, rusted or even missing. If you have this problem, get it fixed as soon as possible so that there isn’t any additional damage or leaking. Keep in mind that it’s easy for water to get inside a building when flashing isn’t tight around roof junctures. 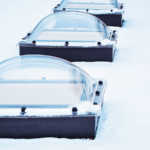 In fact, about 90 percent of leaks occur at roof flashings. When it’s time for a roof inspection—To be sure your roof stays in the best condition possible, have it inspected about every six to 12 months. When the flashing has been damaged—Call a roofing specialist if you see that the flashing on your roof has suffered from damages, such as deterioration, oxidation, or if it has pulled away from your roof. This is critical for preventing leaks before they occur. When your roof is at the last stage of its life—Regardless of how well you maintain your roof, realize that roofs are only made to last for about 20 to 30 years. This means you’ll need to have a roofing professional decide if it’s best to either repair or entirely replace an aging roof. When there are wet spots or leaks—Call a roofer immediately when noticing water damage to prevent mildew and mold from developing. If your attic is used for storage purposes, check it consistently for leaks and damp areas. Inspect a rubber roof after major rainfall because this can give you the opportunity to push on seams to see if some water comes out. Again, often you can’t determine if there are leaks by just doing a visual inspection. Look for any protruding nails on your roof. When nails start to stick out through a roofing membrane, they can cause rust and leakage. One of the main causes of roof leaks on flat roofs is poor drainage, which results in ponding water. This condition, which is also called “standing water”, occurs when water remains on a flat roof for longer than 24 hours after rainfall. 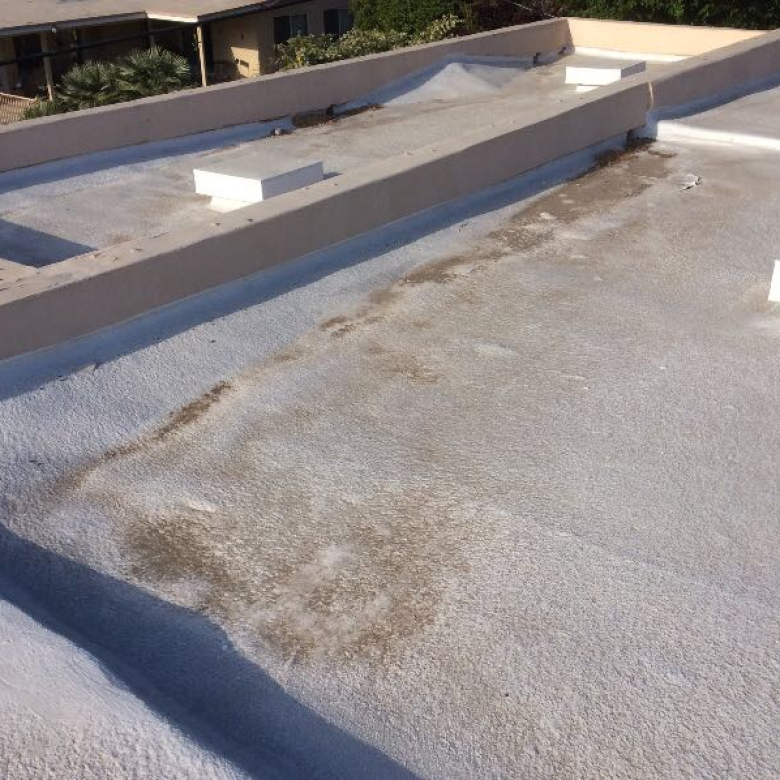 Don’t let your flat commercial roof suffer from leakage issues. Fortunately, we have an outstanding product that can correct drainage problems by filling in low spots on a flat commercial roof. To learn more about our products and services, please contact us.